These healthy 3 Ingredient flourless pumpkin brownies contain no butter, flour, grains or sugar- Just easy, everyday ingredients! Rich, dark and super fudgy, these brownies are suitable for those following a paleo, vegan, gluten free, dairy free and sugar free lifestyle! These healthy 3 Ingredient Flourless Pumpkin Brownies are super fudgy, and a quick fix to satisfy your sweet tooth. They don’t use any flour, butter, grains or granulated sweetener to bind together, nor do they use any eggs- Just pumpkin, drippy almond butter and your favorite cocoa powder. You can either whip it up finely in a blender or do it the old fashioned way- Mixing bowl, wooden spoon, and a free arm workout! For those who may be afraid that the pumpkin flavor will be overpowering, you can easily adjust the cocoa ratios to compensate. Even on the lower end (2-3 tablespoons), it was barely evident. These brownies are also suitable for those following a paleo, vegan, gluten free, dairy free and refined sugar free lifestyle! These are not going to be your standard brownies- They aren’t overly sweet, even more so because they don’t have any banana in them. To combat this, I used the full 1/4 cup of cocoa powder (you can use 2 tablespoons if you don’t want it too overpowering) and also tried it with 1/4 cup dutch processed cocoa and 2 tablespoons of dark cocoa powder. This gave it a really, rich, dark taste and perfect for dark chocolate fans. 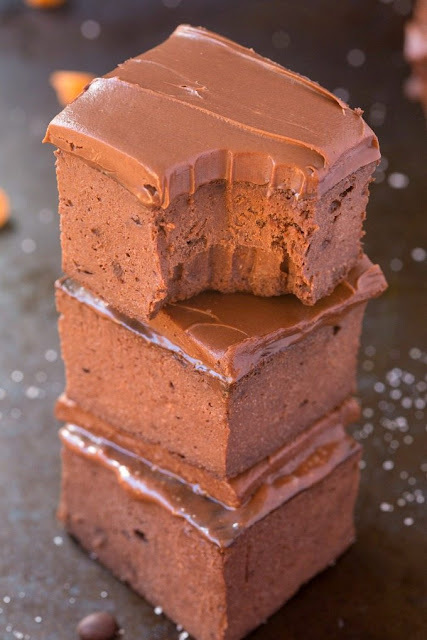 Use the healthy frosting from this recipe (as pictured) and keep the brownies themselves as they are- This will be a good mix of sweet frosting + rich brownie. A delicious, three ingredient brownie recipe using NO boxed mix- Made with no butter, flour, sugar, grains or dairy and suitable for those following a vegan, dairy free, paleo, gluten free and sugar free lifestyle! 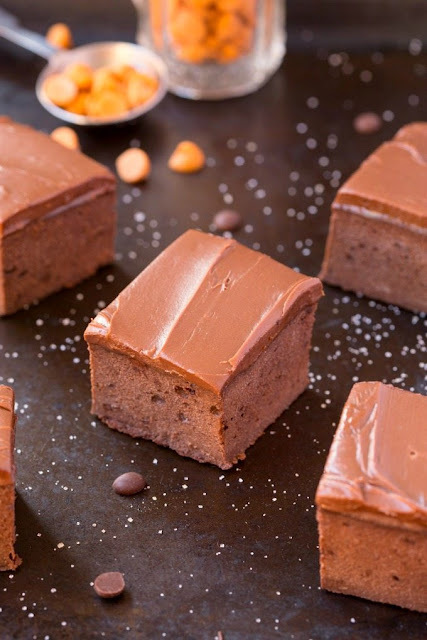 Transfer brownie batter to loaf pan and bake for 12-15 minutes, or until a skewer comes out just clean. Allow the brownies to cool in the pan completely before either frosting to slicing into bars.